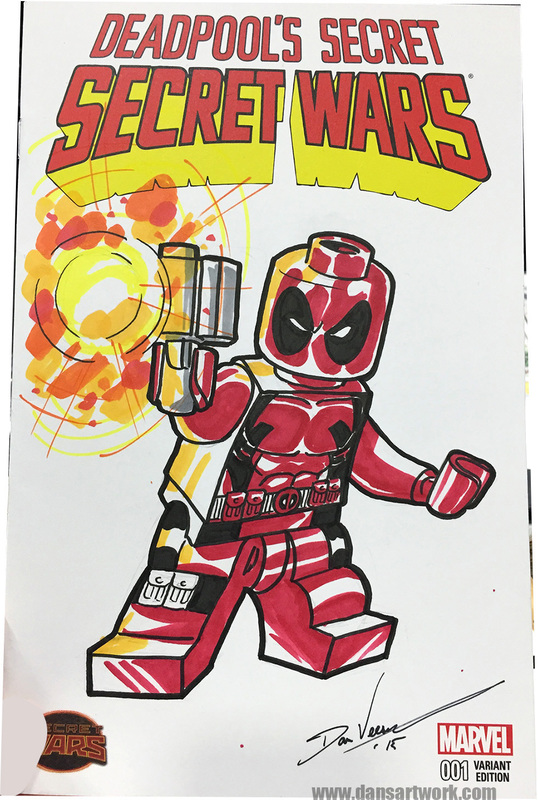 One of the most popular ways comic art fans collect sketches from artists today is to have the artwork drawn on blank comic book sketch covers. 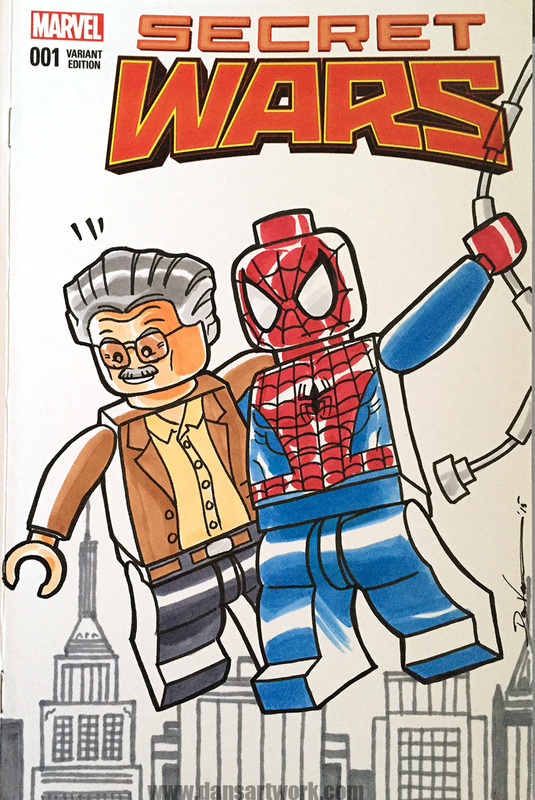 Most comic publishers provide these blank variants on a regular basis. 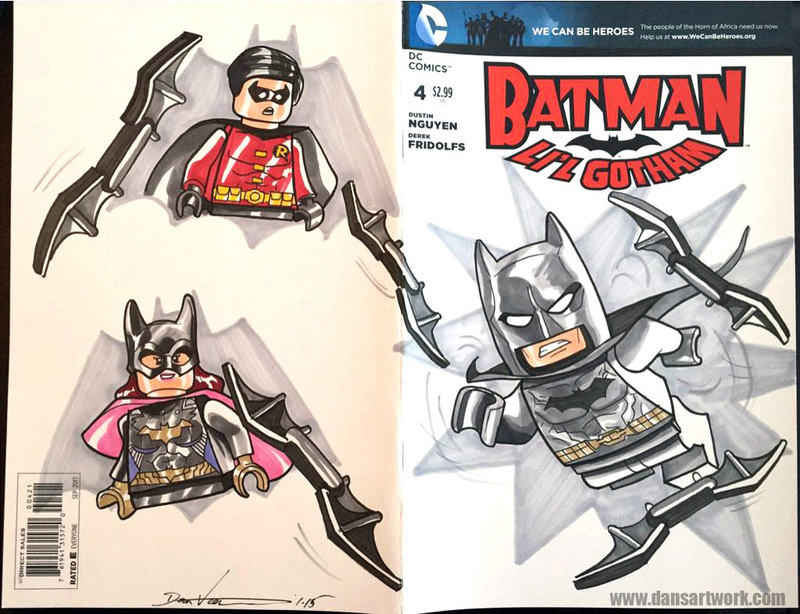 Over the past few years, I have created a lot of these types of sketches for fans of my Lego mini-figure art. 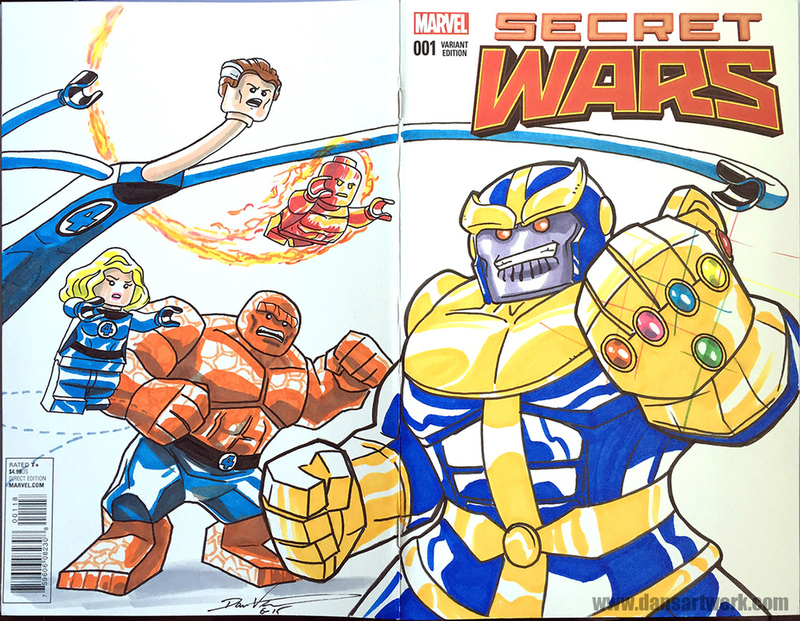 Some were specific commission character requests others were created for fun in my spare time and later sold. 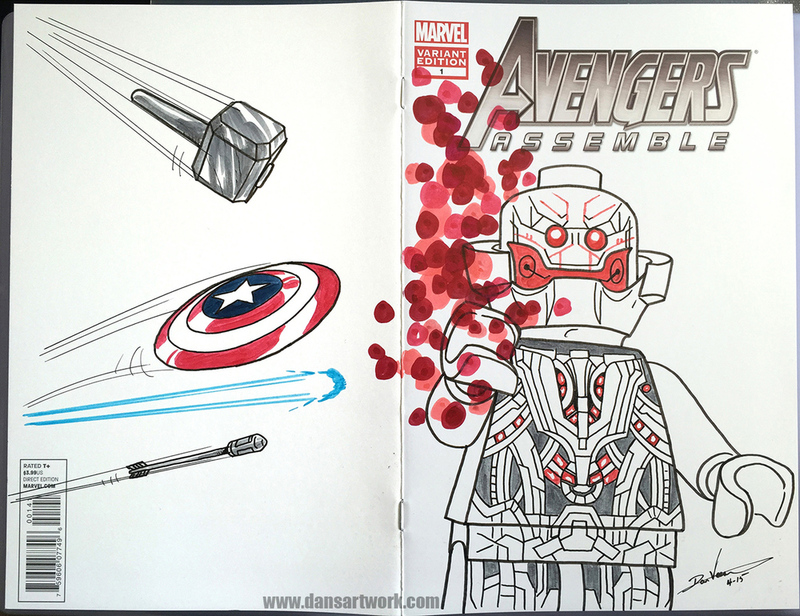 All the art here is rendered in ink and Copic marker.